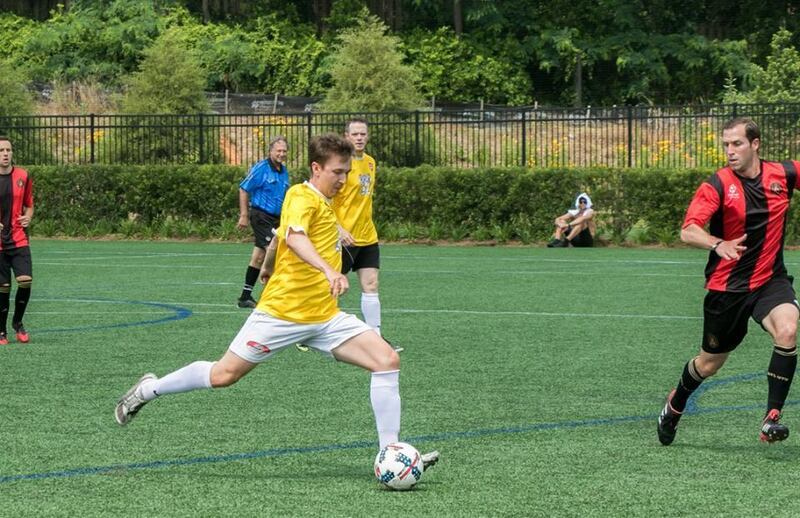 ATLANTA (June 13, 2018) – The Eighth Annual Soccer in the Streets ATL Champions League event was held on Sunday, June 3rd at the Children’s Healthcare of Atlanta Training Ground and the home side – Atlanta United – gained revenge by defeating Manchester United in a rematch of last year’s championship match-up. However, the main goal of the event was raising funds to bring soccer to lower income communities while leveling the playing field for children regardless of socioeconomic status. The tournament helps Soccer in the Streets provide sustainable free youth soccer programs that cultivate change, education, and empower youth. Hosted by Atlanta United, the event raised over $150,000, breaking last year’s record total of $136,000. ATL Champions League 2018 featured 12 teams and over 150 participants. They represented eleven international clubs, plus Atlanta United, as they battled it out for the title both on and off the pitch. Leading the way in fundraising again was the Liverpool side sponsored by Meehan’s Public House, raising a team total of $35,000. Atlanta United came in a close second with just over $33,000. The top two fundraisers were both members of the Liverpool side, Paul Hourigan and Ben Butler, and they raised more than $13,000 and $10,000, respectively. For Hourigan, it was the second consecutive year as the event’s top fundraiser, edging Butler who was the top fundraiser for the event’s first six years. 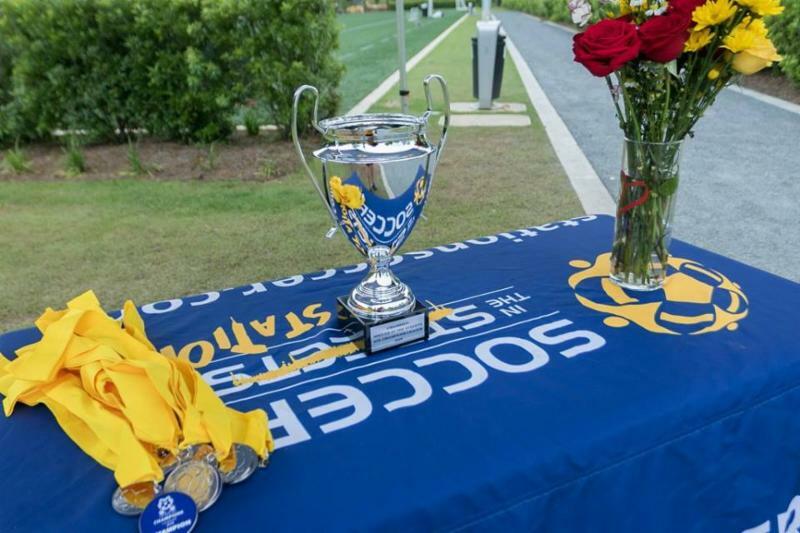 Behind the competitiveness and fun of the ATL Champions League is the most important aspect of this tournament: raising funds for Soccer in the Streets to bring soccer to lower-income communities, providing sustainable free youth soccer programs that cultivate change, education, and empower youth. Since 1989, Soccer in the Streets has used soccer as the medium to instill healthy lifestyles and positive choices to thousands of children in the metro Atlanta area. With a holistic approach, the organization centers its programs on character development, life skills, mentoring, and employability. The local non-profit ensures all children have a chance to succeed on and off the field. Since early 2016, Soccer in the Streets has provided upwards of 6,000 children with after school soccer-based educational programs in underserved communities. Soccer in the Streets empowers underserved youth through sports-based training, character development, mentoring, and employability programs. We reach kids on the field, in small-group classroom sessions, through hands-on experiences and activities, and participation in youth leadership councils. Equal access to quality soccer training and educational opportunities, as well as leveling the playing field across the board, are also key elements in our core mission. For more information about Soccer in the Streets, visit www.soccerstreets.org, or follow us on Twitter at @soccerstreets and Facebook at https://www.facebook.com/soccerstreets/.